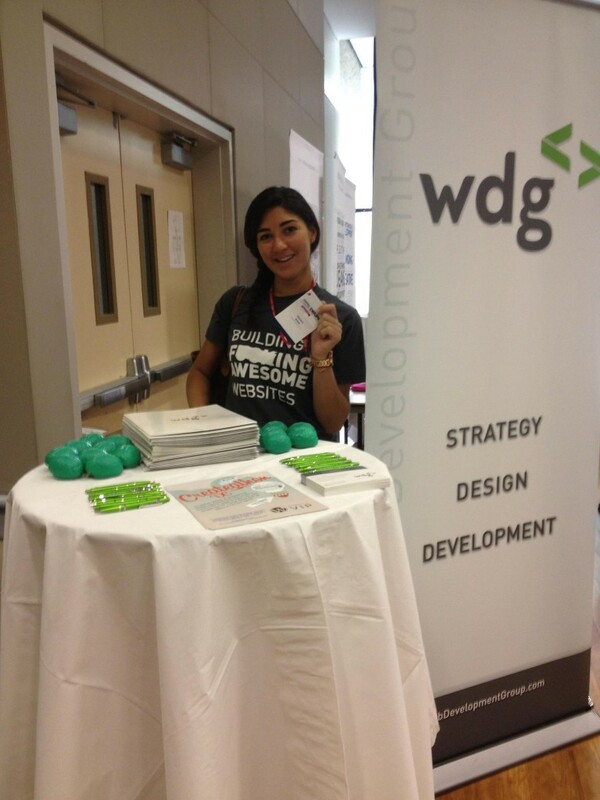 The Web Development Group went to Drupal Capital Camp! It was held July 27-28 in downtown DC. Everyone in attendance had an overall awesome experience and our team wanted to share some of the highlights with you. As an official sponsor of the event, we were given a table at the event. This was a great way to meet many other Drupal-focused enthusiasts from the area and it also helped us spark some great conversations with them. Most members of The Web Development Group’s team took advantage of the many sessions offered, which covered Drupal from basic tutorials to the business and sales side of the system. One of our favorite sessions, A Responsive Project Process, led by Dave Ruse, dealt with how responsive design affects the whole design and development process. If you avidly read our blogs, you already know that we here at WDG are huge proponents of making your site responsive. In other sessions, we enjoyed learning about new Drupal modules that are less known but do some great work. This was a great opportunity for our team to take its Drupal knowledge to the next level and I think it is fair to say that everyone took advantage of this. Lunch conversations focused on Drupal. Needless to say, we really let our inner nerds come out at Capital Camp. As one of DC’s premier web design and development companies, we were really happy that Capital Camp was right in our backyard. We are excited to be able to take the knowledge we learned and implement it in to some of our Drupal development projects. In fact, we have a Drupal site being launched later this week! So keep your eyes peeled. Great things are always happening at The Web Development Group’s office. Want to learn more about the wonders of Drupal? Or maybe you would prefer working with WordPress? We specialize in both of those CMS’s. Located in northern Virginia, The Web Development Group can make all your web design and development visions a reality. Contact us to learn more!